The use of surveillance evidence by insurers in serious personal injury cases is unfortunately very common. In serious, complex claims, where the potential level of compensation could be very significant, it is probably worth insurer’s spending money on surveillance evidence in the hope that they will catch the injured claimant doing something he/she said they couldn’t do. They can then use this to cast doubt on the claimant’s credibility which could have a serious impact on the value of a compensation claim. Like most personal injury solicitors who represent people with serious injuries, I have been served with surveillance evidence on many occasions over the years. The majority of this evidence hasn’t had a major impact on the value of the claim because the claimants have been genuine, however that hasn’t stopped the defendant insurers from trying to use it to their advantage in showing that the claimant is exaggerating their symptoms. I settled a case recently where the defendants obtained surveillance evidence. I will use this case as an example to illustrate the steps you should take upon service of surveillance evidence by defendant insurers. My case involved a young man who had an accident at work in which he fell 15ft from a low roof onto concrete suffering serious injuries. As a result of the injuries suffered in the accident he was unable to return to his previous job as a heating and ventilation engineer. He suffered a back and hip injury and also suffered post traumatic stress disorder and depression and developed chronic pain syndrome. The issue of liability was settled fairly early on in the claim; the main issues between the parties were causation and quantum. 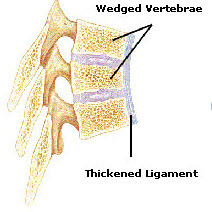 The claimant was originally diagnosed with suffering a spinal fracture (Wedge fracture of L1) and was treated with a back brace. He was in significant pain and was immobile for many months after the accident and was therefore unable to return to work. The orthopaedic experts originally agreed that the claimant had suffered a spinal fracture in the accident, however upon review of the original MRI scan; they agreed that the claimant didn’t sustain a spinal fracture. The original scan had been misinterpreted by the radiologist at the treating hospital and what had looked like a fracture of L1 was in fact pre existing Scheuermann’s disease. This is a condition where the vertebrae grow unevenly with respect to the sagittal plane. This uneven growth results in the signature “wedging” shape of the vertebrae, causing kyphosis. At this stage the claimant was still in considerable pain in his back and hip. He had undergone physiotherapy, acupuncture and hydrotherapy but he remained very restricted in what he could do. Following review of the original MRI scan, the orthopaedic experts were of the opinion that the claimant had suffered a soft tissue injury to his back and hip in the accident. The defendant’s expert was of course of the view that the claimant was exaggerating his symptoms and was able to return to work. I obtained expert medical evidence from a psychiatrist who confirmed that the claimant was still suffering from PTSD and moderate depression and was unable to return to his previous job. I also obtained a report from a pain expert who considered that the Claimant was suffering from chronic pain syndrome caused by the injuries suffered in the accident. The prognosis was poor and the expert was of the view that the Claimant was unable to return to his previous job or any kind of manual work. He might be able to do part time sedentary work once he had undergone treatment on a residential pain management programme. Anyone with any experience of personal injury claims involving chronic pain syndrome, will not be surprised to know that the defendants obtained surveillance evidence in this case. The surveillance operatives followed the claimant for two years. The claimant was extremely upset and unnerved when he discovered this as you might expect. This claimant was entirely genuine, and therefore I took the view that the surveillance evidence showed the claimant living a very limited life and doing the things he said he could do in his witness statement. As far as I was concerned he wasn’t doing anything in the video that he hadn’t already said he could do. The defendants, of course sought to show that the surveillance evidence showed that the claimant was exaggerating his claim. Their experts shared this view. The difficulty was that one of the claimant’s experts (orthopaedic expert) got “spooked” by the evidence and started to waiver in his view as to the claimant’s credibility and ability to return to work. It was clear that if this case went to trial and the Judge accepted the defendants view that the surveillance evidence showed that the claimant was exaggerating his symptoms; his claim would be worth very little indeed. This was obviously a very big risk for this genuine claimant who deserved every penny of his compensation, not least for his significant loss of earnings claim. I took a series of steps in this case which defeated the defendant’s arguments that the surveillance evidence showed a man without any serious injuries who had exaggerated his symptoms, for the purposes of increasing the compensation. I have set out below some of the steps taken in this case and other cases in order to produce a series of tips that may assist other personal injury solicitors who come across the use of surveillance evidence. 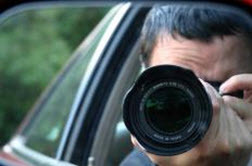 Go through the surveillance with your client in detail. This can be time consuming but it is worth it. In this case for example, the claimant is seen leaning in the back window of a car. My client told me that his daughter was going away for a few days and it was the first time she had been away from the family overnight and he was reassuring her before she left. The interesting part is that a few minutes before the start of the filming on this occasion, the claimant’s wife had carried the child’s luggage to the car while the claimant just walked over to the car empty handed. This had conveniently not been filmed by the surveillance operatives. There was another occasion when the claimant is seen vacuuming the boot of his car. The claimant told me that someone else had carried the vacuum cleaner over to the car. Again this had not been filmed. Ask for a copy of the unedited footage. You should request all unedited footage and logs and records made by the surveillance operatives as to the time spent following the claimant. Again it is time consuming going through the unedited footage but it can be very illuminating and alert you to underhand tactics. In this case, a review of the unedited footage revealed some rather interesting things. Firstly, that there was some footage missing from the unedited footage that was included in the edited footage. Very strange. Plus the time and date sequence was different on the edited and unedited footage. These things suggested to me that the footage had been tampered with. By carefully reviewing the logs you will be able to see when the claimant was under surveillance. You can then cross reference this with the footage. In my case, we discovered that there was a discrepancy between the two which suggested that the claimant was under surveillance when the logs said he wasn’t. I instructed Jeff Simm of Don’t Be Watched. Mr Simm is a video evidence consultant. I asked him to review the edited and unedited footage and to report on any irregularities. As a result of Mr Simm’s evidence, we were able to show that selective filming methods had been deployed and that on occasion, the surveillance operatives had chosen when and when not to film the claimant. Therefore it’s likely that they had chosen not to film him on occasions when it was clear that he was in pain or having difficulty doing things because of the ongoing pain or indeed when someone was assisting him by carrying things for him. Mr Simm also found that the time and date on the film had been tampered with and that there was a period of footage included in the unedited footage which relates to a time when the claimant was not reported to be under surveillance. This meant that I was able to cast doubt on the authenticity of the surveillance evidence. Don’t instruct medical experts to review the footage until you have the unedited footage. As in this case, experts can get “spooked” by surveillance evidence, particularly orthopaedic experts. They can start to doubt the claimant’s credibility which can seriously reduce the value of the claim. My advice is that you hold off instructing your experts to review the evidence until you have reviewed the unedited footage yourself and sought advice from an expert, if possible. Joint statements between experts should definitely not take place until the issue of irregularities of the surveillance has been explored. It might also be worth having a conference with your expert in the event that he/she is swayed by the surveillance evidence to see if you can limit the damage by unhelpful comments. It certainly helped in this case. If you suspect selective filming methods have been used, ask Part 18 questions as to why a particular event has not been filmed eg claimant requiring help or assistance or having to stop and rest due to pain. This wasn’t a feature in my recent case (or any of my cases where surveillance evidence has been served), but you can challenge admissibility if the evidence is served very late in the proceedings so as to amount to an “ambush”. In addition, if in gaining the footage, the operatives have trespassed on the claimant’s property. I was talking to a solicitor at another firm recently at an event and he told me that in one of his cases, the operatives posed as a client in order to gain access to the claimant’s home. The claimant was a therapist of some kind and she worked from home. They were successful in applying for the surveillance footage inside the house to be inadmissible. It is likely that the current trend of insurers using surveillance evidence and snooping will continue in large personal injury claims. I suspect that in the majority of cases, they do carry out surveillance but they fail to capture anything remotely useful to them in their efforts to reduce the value of compensation claims. This is because the surveillance operatives are faced with genuine claimants who are struggling to cope with their injuries. I think we only see the tip of the iceberg when the insurers think they have something that casts doubt on the claimant’s credibility. The best thing we can do for our clients is to warn them at the outset of the possibility of surveillance evidence during the claim and to be thorough in our investigation of the evidence once it is served and to challenge it in the strongest terms. Cheryl is a personal injury solicitor with extensive experience in cases involving life changing injuries including brain injury claims. Cheryl is passionate about representing children who have suffered brain injuries.